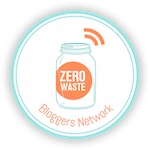 This week, Sept 5-9, is Zero Waste Week. It was started by Rachelle Strauss in the UK, but has grown to an international movement. This year the focus is on food waste. It is estimated that a third of all food ends up as waste rather than food. 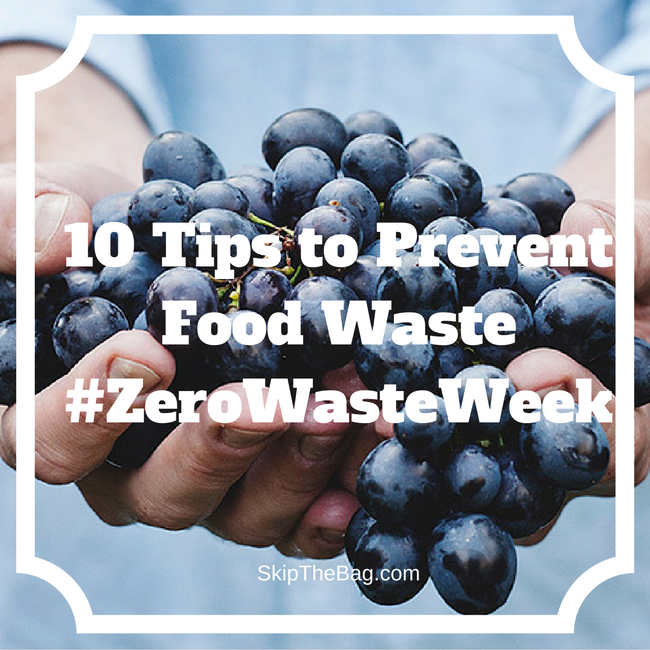 So in celebration of Zero Waste Week here are ways that we help reduce food waste. Although admittedly we could do better! 1. Shop your refrigerator/pantry first. This is a huge way to cut down on food waste. Looking to see what food you already have on hand rather than shopping. This will also help to save money! We used to purchase a food service that would send us recipes every week based on the sales of our local supermarket. The nice thing about it was that if there was a recipe that used half a red onion in the beginning of the week, there would be a recipe at the end of the week that would use the other half. It was a way to know you were getting your money's worth and it would lead to less food waste. If you plan out your meals you will not only have a better idea of what you need to buy (and conversely what NOT to buy), and you can also make sure you have a plan to use up what you do buy. 3. Have a 'fend for yourself' night. This is a time once a week or so where you don't cook dinner, but rather everyone has to figure out their own dinner. Usually this means each person takes leftovers, but it may mean someone is digging a peanut butter and jelly sandwich from the pantry. When cooking dish up a serving into lunch containers. This will help prevent overeating at dinner, and also help you get a second meal out of the dinner. 5. Store bread heels in the freezer and use them to make breadcrumbs. We've got one bag full of heels for this purpose. When we need some breadcrumbs we just take a couple slices out and throw them in the food processor. The food processor doesn't care that they are frozen and they thaw really quick once crumbs. 6. Speaking of bread, we keep our bread items in the refrigerator. Years of living in a hot humid place we've found this helps prevent the bread from getting moldy. 7. Keep a collection of stock veggies. This is something we've done in the past, but should be better about. When peeling vegetables or cutting off the ends of veggies you can keep them in the freezer until you are ready to make vegetable stock or chicken stock. Be careful about keeping onion peels, they will turn the broth a dark color. Many things can be safely frozen and thawed with no change in taste or texture. When it is looking like you may have got too much food that you won't be able to use. Freeze it! You can freeze all sorts of berries and vegetables. You can even freeze cooked food! We've got chickens and while they've gotten some food scraps, I have not developed a habit to regularly give them food scraps. Mostly because I need to look up every single thing that we give them and there are some foods that are dangerous. They enjoy the treats so I should look to divert more food scraps their way. Any food scraps (except for meat and dairy) should be composted and not sent to the landfill. There are good nutrients in the food scraps that can be used back in the soil rather than slowly (if ever) degrading in the landfill. Some cities have compost that can even take meat and dairy, but home compost piles don't get that hot, so those items should be avoided. It just kills me when I end up throwing food away. All you tips are right on I love leftover night. I miss the chickens! The loved watermelon rinds! What great ideas! 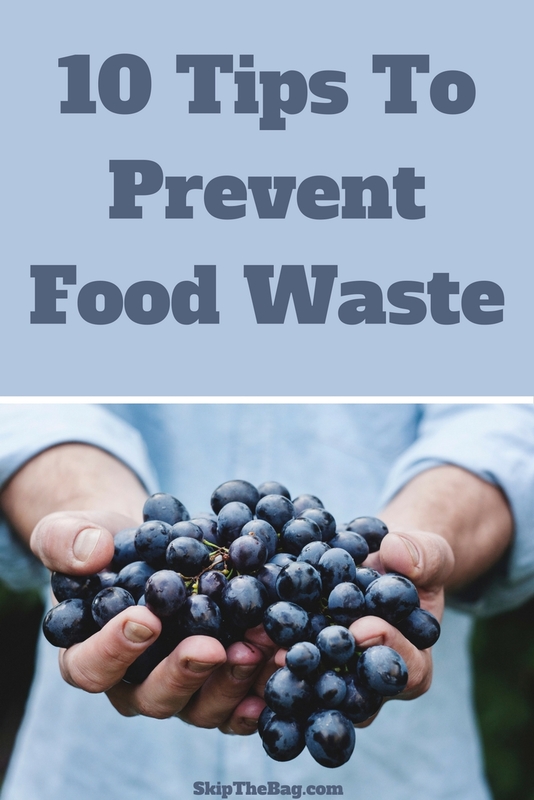 I try to keep my food waste to a minimum and I think I do an ok job, but these are some things that could help me get better. Thanks for sharing! Storing bread in the fridge also prevents the psycho cats from eating it!, lol! Very informational post! Thanks so much for sharing with us on the Homesteader hop! Ha! I've had some cats that eat cantelope, but not bread! Thanks for visiting. My poor compost heap is suffering these days because the ducks eat quite a bit of our scraps :) But it's so much fun to watch how excited they get! Looking up EACH thing IS a pain though. Thanks for linking up at #SustainableSundays! I bet they are happy ducks though! These are great tips! I do all of them except making stock (lazy, I guess) and feeding chickens (don't have any--but when we used to have a rabbit, he ate some of our veggie scraps). Here are my 70+ tips for avoiding food waste! Wow, 70! Can't wait to read some. Thanks for sharing. We do a couple of those, like we put one loaf of bread in the freezer for toasting and another loaf for sandwiches on the counter for a few days then move it to the fridge after a couple of days. Brisbane is super humid most of the year! But keeping the bread ends for breadcrumbs is a great idea that I will do now (as we used to just throw them in the compost!) And really need to get a meal plan in place that we actually stick to! Thanks for the tips.. Pinning!! Meal planning is hard, I'll admit we aren't as good as we should be. Great list! I'm terrible at meal planning but have a lot of hungry rescue chickens to feed! They will enjoy their treats! Thanks for stopping by.